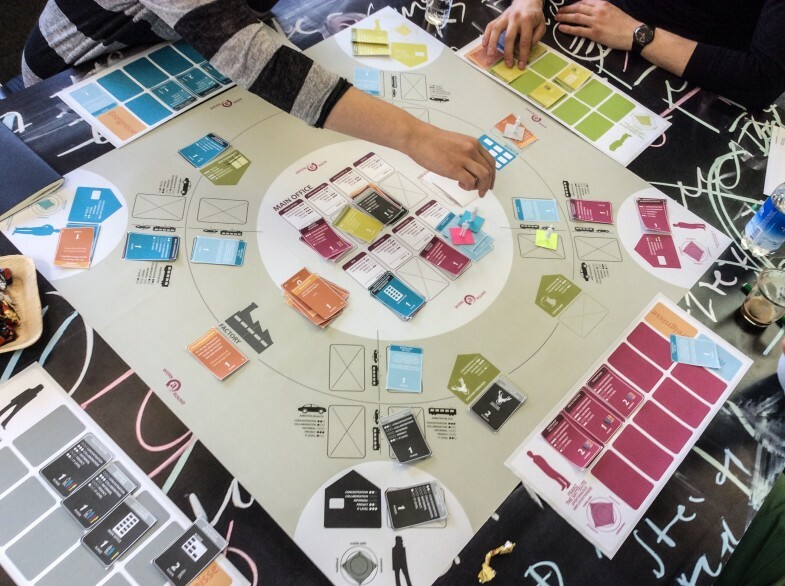 «Work A Round» is a Simulation Board Game aiming to sensitize participants for the challenges of today’s working culture by specifically focusing multi–located work and task–oriented workplaces. The game is designed for four participants (or groups of players) and a facilitator who is moderating it. 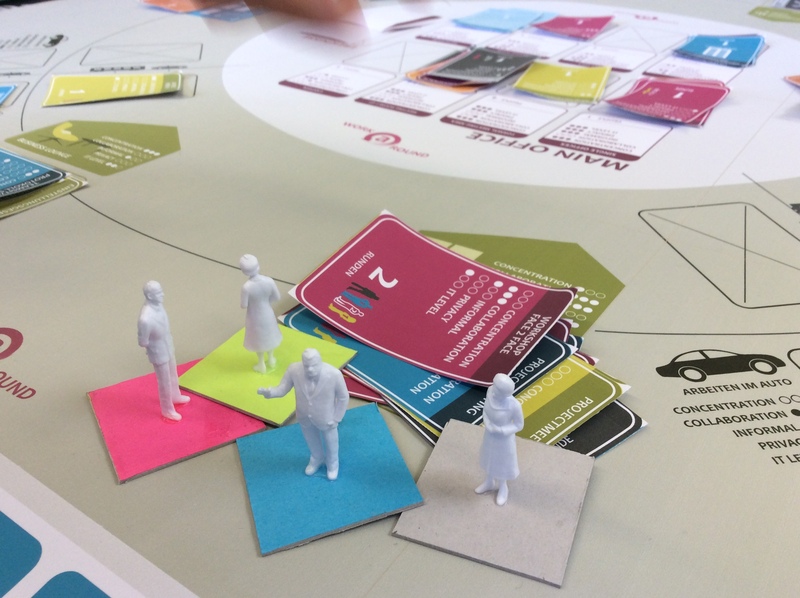 Each player has an assigned «persona» representing a common figure in office work and a number of tasks that have to be executed during the game. The overall goal is not to accomplish all tasks as a single player but as a team. Therefore, players have the possibility to choose different locations to work at (e.g. the home office, a client’s office, on the train or in the main office) represented on the main board. Just like in real life though, not every task can be accomplished at any location. Each task and location represent a small scale of requirements concerning different factors. Only if the task card matches the location with a minimum of points required, it can be laid down at the location. 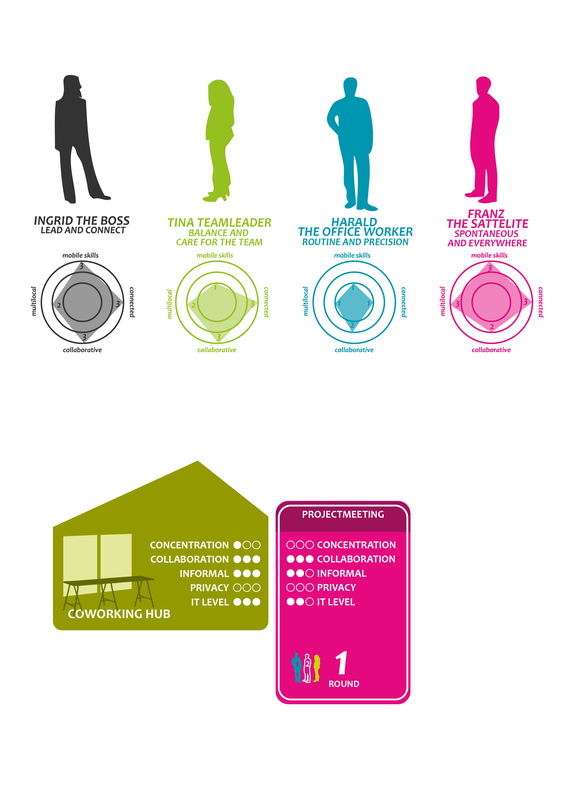 Twice during the game, the facilitator initiates a debriefing, which invites players to transfer work strategies from the game to their real life as well as their requirements for physical office space. The game has been tested in a series of workshops with companies, planners and students. Currently, it is being published in a special issue of Simulation & Gaming: An International Journal of Theory, Practice and Research.